According to the release notes, 3DxWare64: includes all x64 (64-bit) Windows driver and plug-in software for all currently supported 3D except SpacePilot Pro. 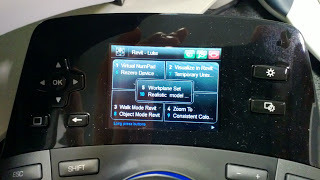 Note: if the above underlining was too subtle, you can download and use this new driver package and get the “Radial Menu” with your current 3Dconnexion device! 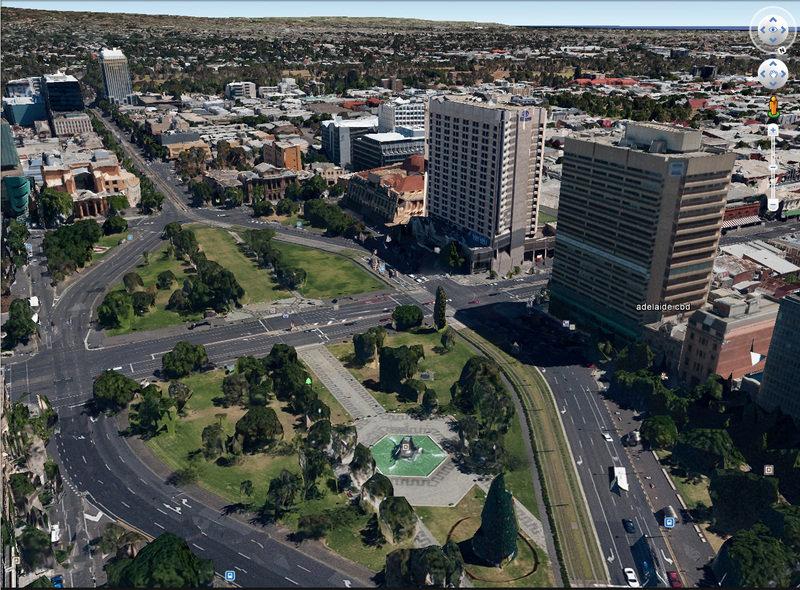 SpacePilot Pro – Walk and Fly in 3D orthographic views! Just had a great meeting with Andy Parnell-Hopkinson of 3Dconnexion GmbH. By reversing these axis, the Fly mode is basically simulated – instead of moving the objects toward you when pulling back on the SPP, it pushes them away etc. What is Navisworks Manage good for? Note: this article based on using Navisworks Manage 2013, Service Pack 2 (10.2.0.91043) on Windows XP 64-bit. If you have Shared Coordinates set up and working between your various Revit models, things will be a lot simpler. 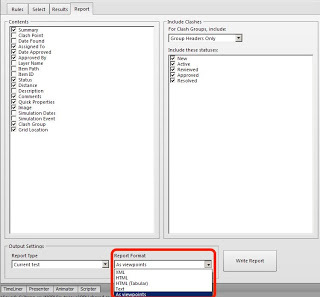 There is an option in the exporter where you can specify that it uses Shared Coordinates. If you are working with a set of RVTs where shared coordinates were never properly set up, you may need to pick a particular RVT and publish coordinates to all related RVTs in the set. This may become tricky if there is no site / main host file and you have to play around by cascading coordinates into all related RVTs… you get the idea. As you know, Design Review can open almost anything and save it as DWFx. 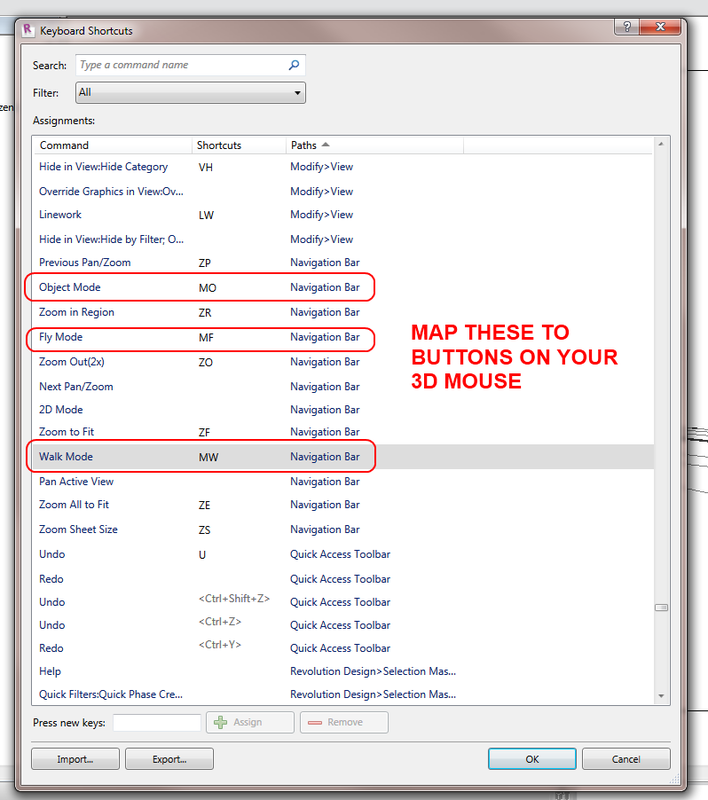 And Navisworks can append / import DWFx data (append = 3D, import =2D). 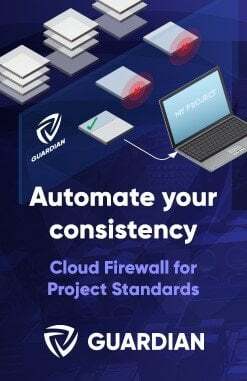 So you can use this to create a combined project document that has a combination of different data – images, project submissions, markup sets, meeting minutes etc. Download Design Review install package from here (700mb). You can also download the 2D DWF writer (printer driver) from here. I even went so far as to make a PDF of my Clash Report, then print to 2D DWF, then import the pages back into my Navisworks set – interesting way to store Clash report snapshots huh? Once you have found the item in your main NWC, click View. 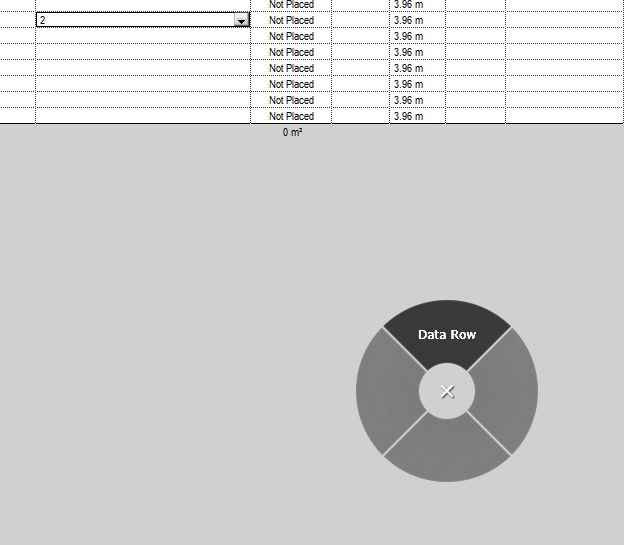 You can then use Focus or Zoom commands to correctly visualize the item from that particular sheet. You can save multiple viewpoints for each Sheet View. If you draw redlines on one of these saved sheet viewpoints, be sure to finish the command or switch to modify to input the redline / text into the saved viewpoint. 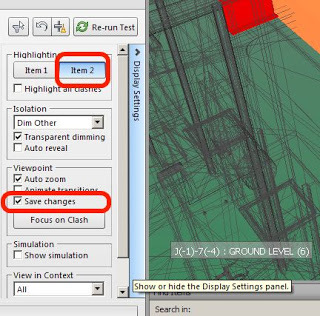 Double-click on the toplevel NWC in the Project Browser to return to your model. 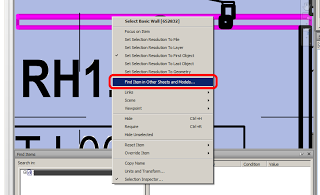 Now, using these viewpoints, you can arrange them into folders in Navisworks. 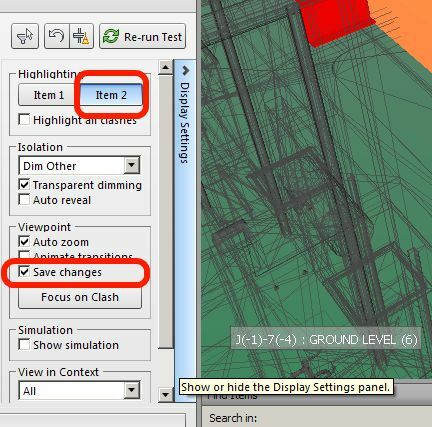 When you export to DWFx, the views will be available to someone using Design Review (or Navisworks Freedom). 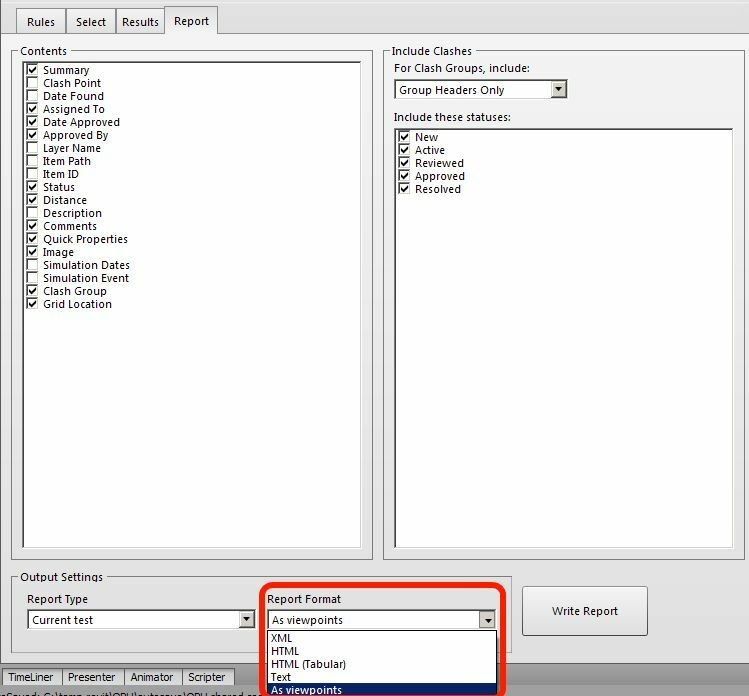 Keep in mind than an NWF file retains links to NWC files and updates them accordingly, while an NWD is a single container of all data in a Navisworks file at a given time (a snapshot). Sadface – There is no Tab key for selection cycling of objects under the cursor. 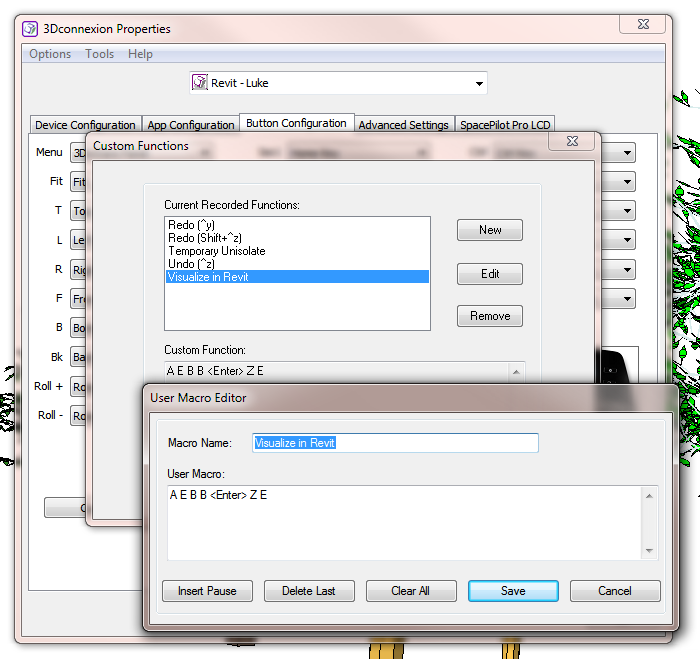 @lukeyjohnson Use Selection Box and select them all, then isolate what u want in the Selection Inspection dialog box. Is the SPP difficult to setup and start using? Is the SPP compatible with my modelling software of choice? 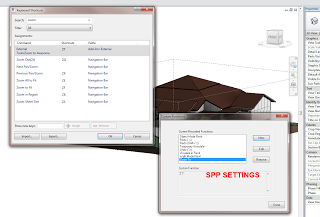 Revit and the SPP – is it worth it? 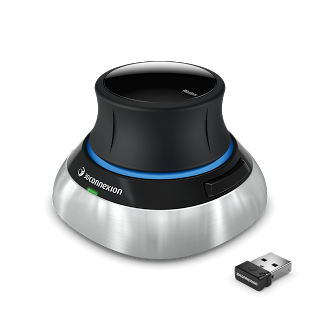 The SpacePilot Pro is the top-of-the-range 3D navigation peripheral offered by 3Dconnexion (formed in 2001 by Logitech). 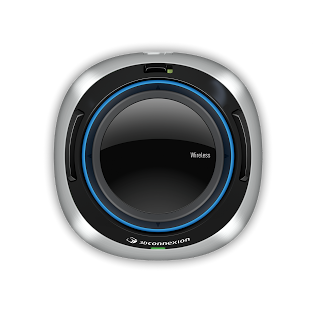 Other products include the SpaceMouse Pro, SpaceExplorer, SpaceNavigator for Notebooks and the SpaceNavigator. I was quite excited to unbox and start using it. I really wanted to put it through its paces properly, in multiple 3D tools and in Windows 7 in general, before passing judgement. So, I took my time… I wanted to make sure that I didn’t just fall in love with the ‘idea’ – I wanted to try it in a number of different practical scenarios. The general feel and build quality is very good. It is a heavy, solid, well built unit. After connecting the device Windows 7 64-bit tried to find drivers on Windows Update, but, as expected, it couldn’t. So I popped in the installation CD. 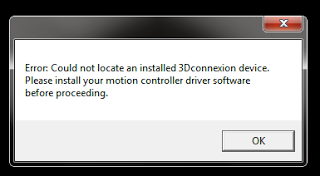 The Setup program prompted me to check for updates on the 3dconnexion website. The /checkupdates link that Setup opened appeared to be broken (or perhaps some incompatibility with Firefox), so I installed drivers using this page. These were the files I downloaded – drivers (3DxSoftware64SPP_v3-16-2_r1356 at 154mb) and a release notes PDF. Once drivers were downloaded, I ran the exe. Choosing Custom allowed me to see all of the software plugins that were going to be installed, such as AutoCAD, Inventor and 3dsMax. The setup program then prompted me to install the Autodesk 3dconnexion hotfix for AutoCAD 2013. I downloaded the hotfix while the setup program continued to run. After setup was completed, I opened AutoCAD to check if I had installed SP1 already (as this was a requirement for the hotfix). SP1 was installed, so I installed the hotfix by replacing the acvmtools.crx in my AutoCAD 2013 folder. Next, I ran the Viewer and tried the 4 different control modes using the Menu button – Object, Camera, Target Camera and Helicopter mode. I wonder which will be most useful in Revit? I tried using Design Review at this early stage, and I struggled a little bit, but I thought “give it some time”. I have a feeling this is to do with Design Review forcing the placement of the cameras to be outside the building envelope. The device worked straight away (no configuration necessary). 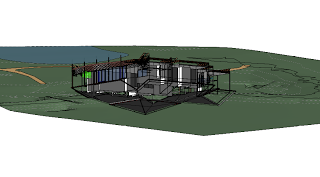 I was pleased to see it Pan and Zoom in 2D views (Plans, Sections, Elevations etc) very easily and intuitively. Switching to 3D, I couldn’t figure out how to Zoom. I tested the shortcuts to Top/Bottom, Front/Back, Right/Left and they all worked nicely. Sometimes I had to press Top and then Left or Right to show proper respect for gravity. I could get Iso1 to work, but Iso2 did not. It turns out that the Zoom problem was me… I found that you had to put one finger on the side of the dial nearest the LCD, and your thumb on the other side, to effectively use the push/pull motion to zoom. It will take some practice – don’t expect to wow your colleagues if you have just bought it and plugged it in! In fact, controlling the push/pull zoom on the device may be your biggest challenge – move slowly, and feel the resistance in the device. 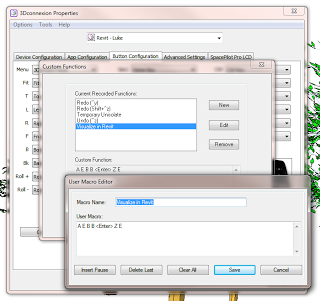 Skip down to “Having Problems with the SPP and Revit?” to learn more. The default shortcuts for Revit are not too bad, mainly to do with view styles (but I will talk more about customization and shortcuts later). 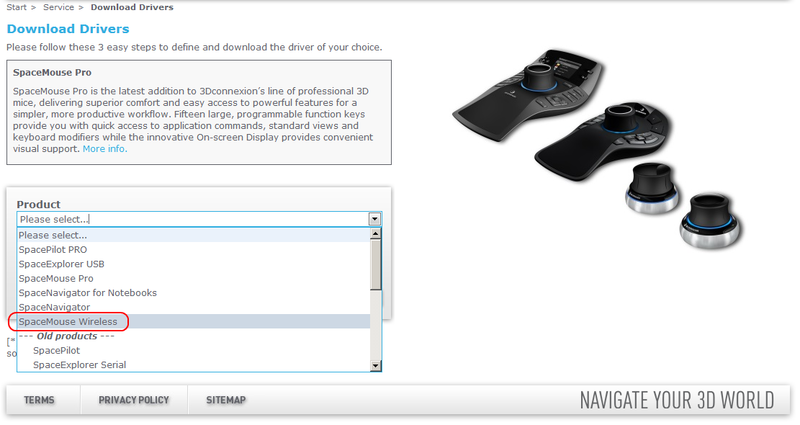 Interestingly, a VirtualNumPad is provided, so you can enter numbers using the mouse without taking your hands off either your standard mouse or your 3D mouse. Of the Navigation Setting Keys, the Pan and Zoom key and the Rotation key essentially toggle (you always have to have one of them on, or both). 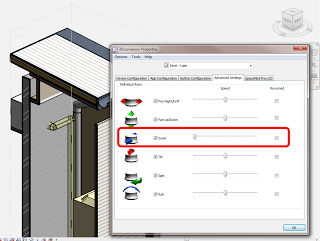 In Revit, you will commonly turn the Rotation key on and off (because you can’t really ‘Tilt’ a view in Revit anyway). 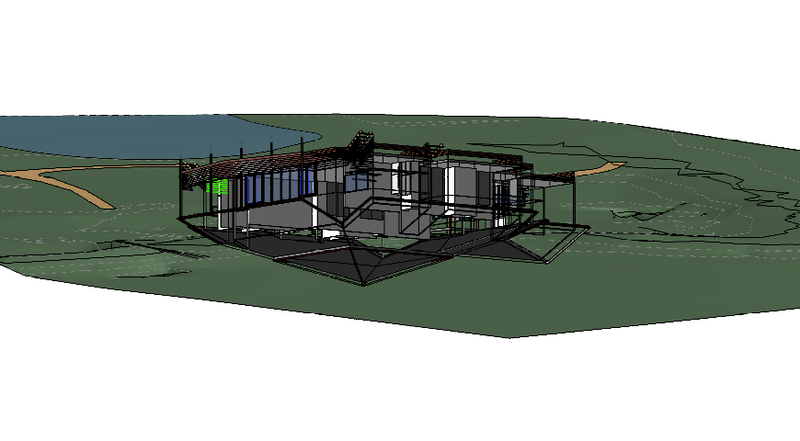 Using the SPP with Revit is very enjoyable. It gives you a new, tactile way to experience and visualise your building. You can really get inside the model, look around, and check things out. However, to truly increase your productivity, you are going to have to take some time: time to get used to the controls, time to set up shortcuts to your liking, time to see how the SPP reacts under different conditions. 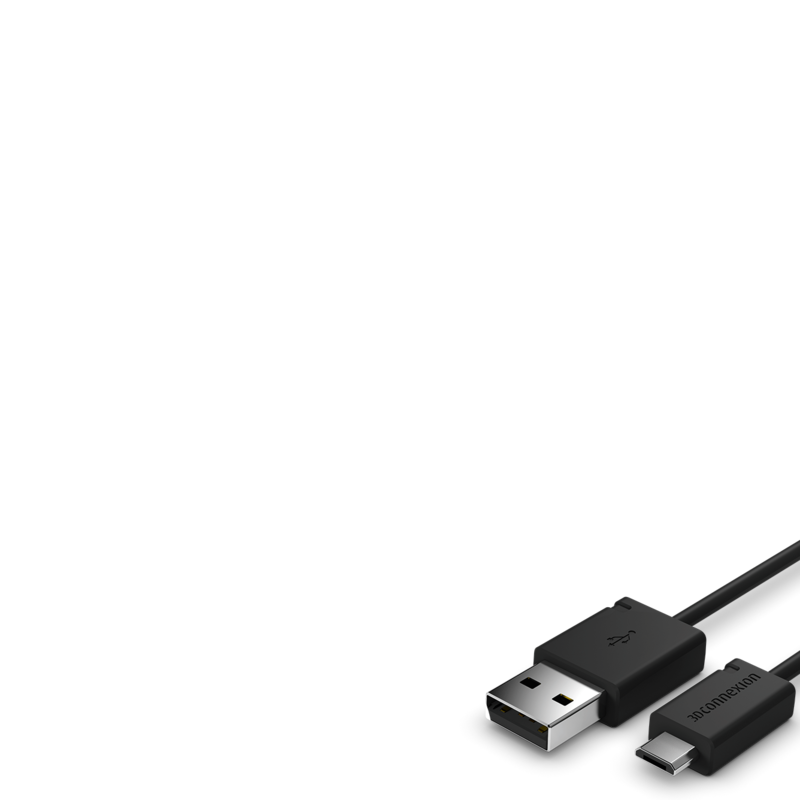 One of the biggest limiting factors is your general computer and display hardware. If it is poor, then your experience will likely be choppy (check out the Supporting Hardware section below). When using Walk mode, I recommend that you turn Dominant Axis off (top right hand button on the SPP). 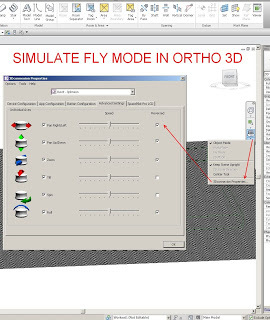 In a 3D ortho view, it will help to use a Section Box if you are working with a large site or sparse 3D objects – it can be difficult to control if the extents of the model objects are geographically distant from one another, but a Section Box mitigates this problem. 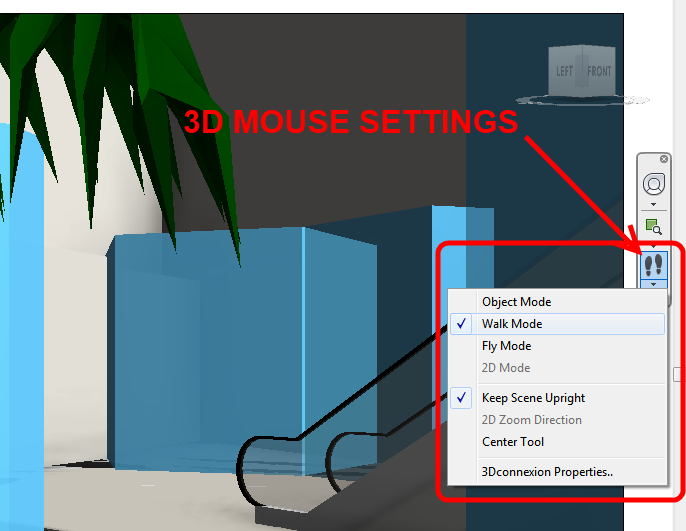 Use your normal mouse to select objects as you visualize your building. This will set the Pivot (centre of rotation) that the SPP will use. Otherwise, you may find your building flying off over your shoulder. 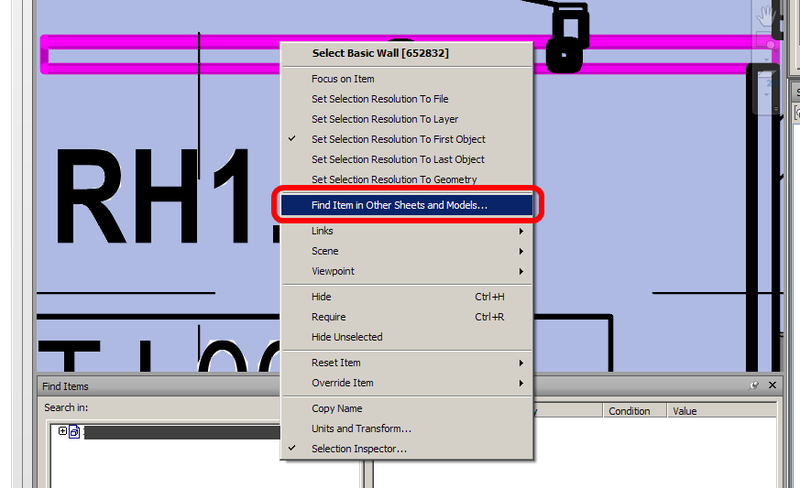 Interestingly, the “pivot” in Revit get set to the selected object – but then that Pivot setting will persist even after objects are de-selected. You should probably turn the Dominant Axis switch on, at least to start with. Its a bit more forgiving. You can use the Esc key on the SPP to stop commands or unselect objects in Revit as you navigate the model. You can (obviously) also use Ctrl button on the SPP to select multiple objects. Having Problems with the SPP and Revit? Map a button to Rezero. If things go a little wacky, hit Rezero then close and re-open the 3D view. You may need to play with this setting to get it just right. I also set a shortcut to remove the section box and Reset the Temporary Isolate. (Note – autosectionbox only works in 3d ortho views). I followed the lead on Wikihelp help video and made a custom shortcut that does two things – Show Workplane, and then Set Workplane. I mapped this to the centre shortcut (number 5) on the SPP. I set the Alt button on the SPP to be used as a Tab press – its very close to the main dial on the SPP… and in Revit, we are always tabbing. I had already mapped most of my keyboard shortcuts (in Revit) to be under my left hand (near the ASDF keys) on a standard keyboard. This way, its only a short ‘jump’ from the SPP to the LH side of the keyboard…(if you are right handed, that is). 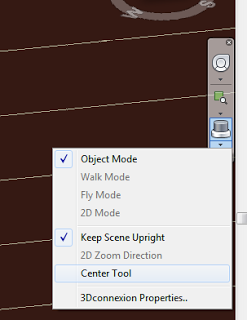 My main item on the Revit wishlist would be the ability to use Walk mode in a 3D orthographic view. As most of our actual modelling work gets done in an orthographic view (primarily because Revit doesn’t let us do things in a perspective camera view), then it just makes sense for the SPP to allow the more intuitive Walk mode in ortho / isometric 3D views. 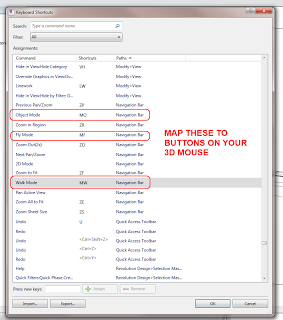 I corresponded with 3Dconnexion’s Director of Global Marketing on this issue, and he notified me that “the 3D mouse integration (in Revit) is handled by Autodesk. We can make requests but in the past it’s proven more effective for Autodesk’s actual customers to make them”. So, in some ways it is back on us (as users) to notify the Factory of what we want, perhaps by using this form and asking for Walk Mode in 3D orthographic views. I tested this on a PC running a Core i7 975 XE at 3.4ghz, with 12 gb of RAM – not a bad system. 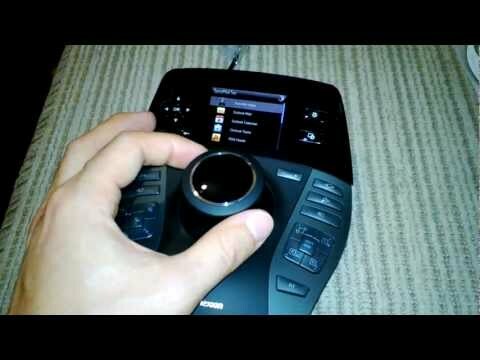 Initially, I tested using a Nvidia Quadro FX 580. This video card is getting a bit old now, and it showed (in fact, I generally ran it with Graphics Acceleration and Antialiasing turned off in Revit, for stability reasons). The SPP causes you to want to smoothly rotate and zoom your model in a natural, gestural fashion – but if your graphics hardware can’t keep up, the experience is a bit choppy and laggy. You will probably want to disable rotation when using AutoCAD for architectural purposes (plans / sections etc). You can’t really use Walk mode in ADR 2013, but you can approximate it by using a mixture of the Full Navigation or Tour Building Wheels and your ‘standard’ mouse, and turning off Rotation on the SPP. You can now look with one mouse, and pan and zoom with the SPP. A true Walk mode would be better, however. There is nice integration between the SPP and 3ds Max. Pressing the Menu button allows you to switch viewing modes easily. The LCD was initially very handy for viewing and opening emails. Just press the home button (little rectangle with gears) then use arrow keys and OK. Your SPP serial number is on the USB cable. I found that my PC’s keyboard or numpad would occasionally seem not to respond – it wasn’t really a big issue. After switching between a few apps, the controller got ‘lost’. It would not function in any programs (though the LCD screen would still work). 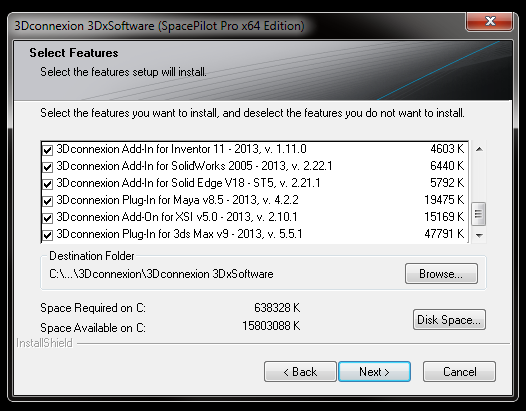 To fix this, I forcibly closed the 3dxsrv.exe process and then opened 3DxWare from the Start menu. I then had to close the 3DxWare tray application (!) and close and reopen Revit. This seems like a driver issue. This only happened once. On another occasion, everything seemed to be ok, but nothing was happening when I moved the SPP. In this case, I closed 3DxWare from the tray, then restarted it from the Start menu, and finally closed and reopened a Revit document. On one occasion, I was running in a big etransmit in another instance of Revit, and it kept stealing focus. This did not play well with the SPP. Most of the above results can be verified on the Supported Software page. Note: where software is marked as did not work above, this likely means that 3Dconnexion has not yet added a plugin for that piece of software to the SPP drivers. 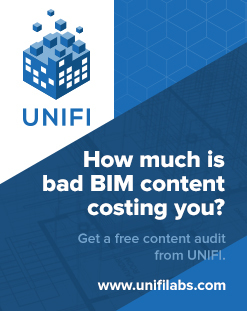 In the competitive AEC, CAD and BIM fields, each individual and company needs to establish a point of difference in order to establish their reputation and prove their inherent worth. For most of us, our point of difference is our unique experience and breadth of knowledge. However, experience needs to be paired with suitable tools – in technical terms, this means good quality PC hardware, and reliable input devices. 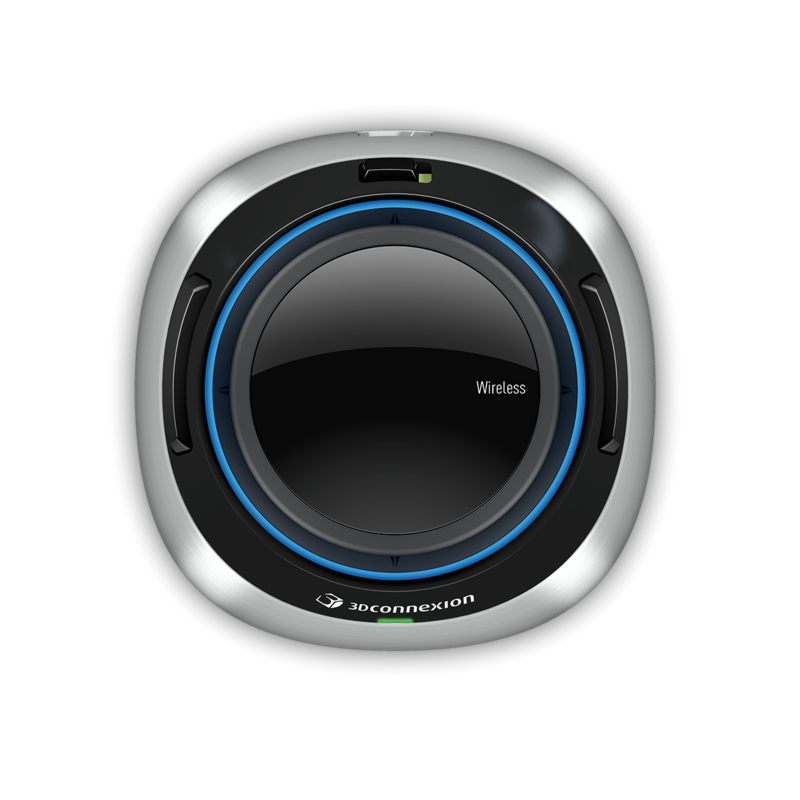 The SpacePilot Pro can give you an edge, a competitive advantage that differentiates you from your colleagues. Most likely, but you can check to make sure. I think so – once you have set shortcuts and become used to the device, it is an enjoyable and productive way to interact with Revit. 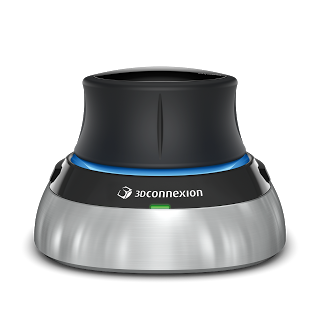 Head over to http://www.3dconnexion.com/ and use the Buy links to Locate a Reseller, view Online Resellers, or buy in the 3Dconnexion shop. This video shows a cool tip – you can set multiple keyboard shortcuts to occur one after the other and map that to a SPP shortcut key. In the example, Tom turns Workplane Visibility on and then starts the Set Workplane command all with one button press! So What’s It Like When You Don’t Use a 3D Mouse? We meet some pretty passionate 3D mouse users. Sometimes, they’re even more passionate about what it’s like working without one. This link includes comments on the driver development for 3Dconnexion devices, as well as one company’s experience with Support. @lukeyjohnson can’t wait to read. Curious to hear your thoughts! I have a Space Navigator and find it a little sluggish with Revit projects, but Revit Family creation is pretty cool. It works really well with Inventor too. Basically, anything which is small component size.